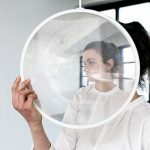 “focus” is a spatial object focusing towards multiple directions in the surrounding environment to construct an ever-changing perceptual space. 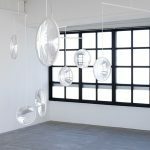 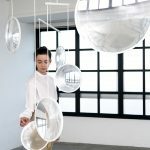 A number of flat and lightweight lenses are hung from the ceiling like mobiles. 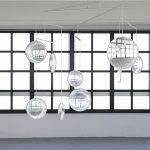 They capture, collect, and diffuse natural light from windows and ambient light in the interior space in all directions and angles. 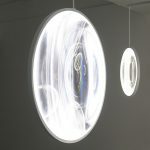 At the same time, they frame the surrounding scenery in all directions, creating multiple floating worlds embedded in circles of light. 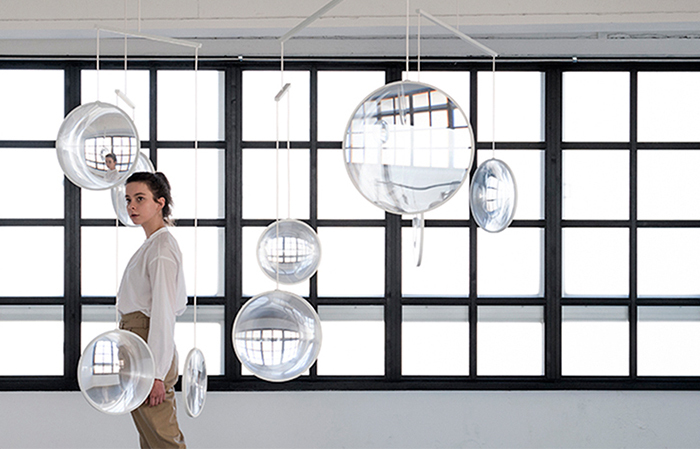 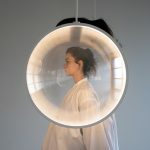 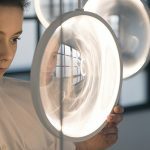 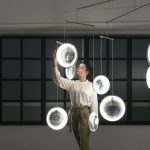 Balancing subtly against the gravity, the spatial object sways and rotates gently in response to the surrounding airflow and transforms into multiple configurations. 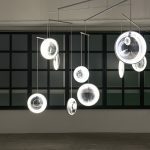 After dark or when ambient light is too weak, lighting devices embedded around the edges of the lenses illuminate the framed scenery, and affordance effects generated by light direct viewers’ attention towards another scenery beyond the lenses. 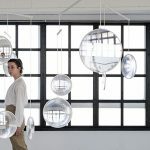 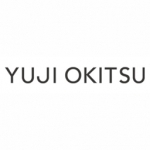 By refocusing on and recomposing the existing elements such as light, air, and scenery, “focus” creates a new scenery responding to subtle ambient changes in the space.